Tell Me What to Do with this Clock! The clock belonged to my husband's step Grandmother when she passed away. 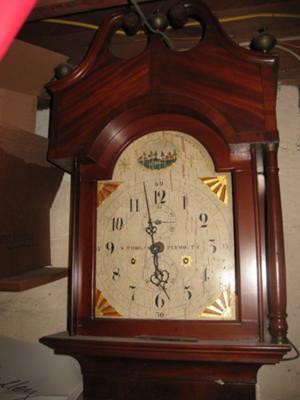 They had an Estate Sale, where someone offered over $1500 for the clock, but the sales manager wouldn't let it go for that price. Now it sits in our basement. It's in need of some repair, but I believe we have all the parts. We would like to sell it, but don't know where to start. I see that it must be a Seth Thomas, but I have no idea how old it is, how much it's worth or who we should contact to come look at it.